Obituary for Stanley R. Riste | Peterson Kraemer Funeral Homes & Crematory Inc.
Stanley R. Riste, 90, died Tuesday, November 6, 2018 at Aspirus Wausau Hospital. He was born August 24, 1928 in Wausau, son of the late Sidney and Rose (Lenard) Riste. On October 14, 1950 he married Lorraine Riste at St. James Catholic Church, Wausau. She preceded him in death on December 29, 2012. Stanley served his country in the United States Army during the Korean Conflict and worked for 33 years at Weyerhaeuser Paper Mill retiring in 1990. He was active in the community volunteering at the Aging and Disability Resource Center, helping build homes for Habitat for Humanity and serving as Treasurer for the local Chapter for Equitable Reserve Association. 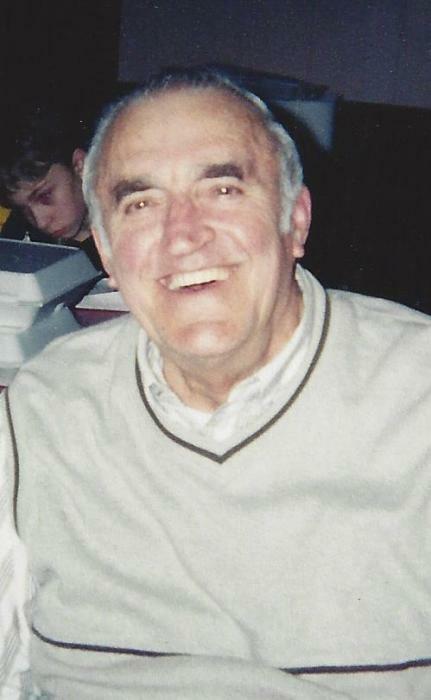 He also was a longtime volunteer of the Wausau East Booster Club. Some of his hobbies included hunting, fishing and woodworking. Survivors include his children, Douglas (Christine) Riste, Weston, Debra Rhyner, California, Daniel (Beth) Riste, Merrill, Diane (John) Stasiak, Plymouth and Donna Johnson, Fond du Lac; 9 grandchildren, 11 great-grandchildren, step great-grandchildren; brother-in-law, Ken Dvorak, Wausau; sister-in-law, Nancy Schmieden, Elkhorn, many nieces and nephews. Besides his parents and wife, Lorraine, he was preceded in death by two sons-in-law, David Rhyner and Gerard Johnson, one brother, Richard Riste and two sisters, Joyce Schmieden and Margaret Dvorak. The funeral Mass will be celebrated 10:30 a.m. Friday, November 9, 2018 at the Church of the Resurrection of Our Lord Jesus Christ, Wausau. Rev. Msgr. Mark Pierce will preside. Burial will be in Restlawn Memorial Park, Wausau. Visitation will be Friday from 9:00 a.m. until the time of services all at the church. The family would like to thank the staff of the Palliative Care Unit at Aspirus Wausau Hospital.